Day Geckos Are Not Dogs! A frequent reaction of new acquaintances who find out about my hobby of keeping day geckos is, "I like dogs. You can't cuddle or bond with a gecko." Although I love dogs and would like to have one, living in rented apartments and working long hours aren't really compatible with having a dog. 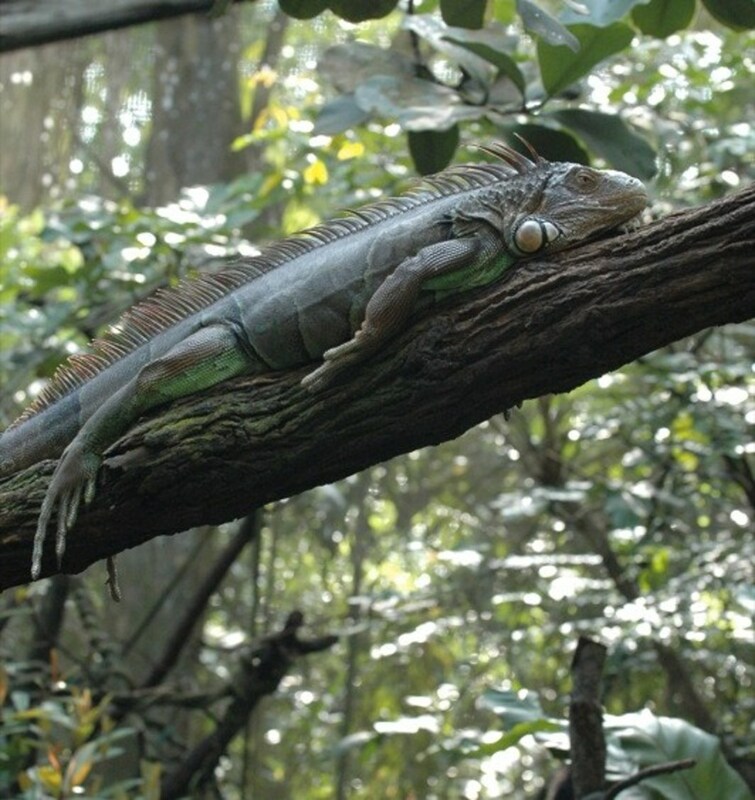 But lizards are not just dog-substitutes or a second-choice pet. Keeping them, and reptiles or amphibians in general, is completely different from having a dog or a cat in the house; it is a hobby (or rather a passion and even an obsession) that should be considered on its own merits. In some aspects, it is quite similar to growing rare orchids, although day geckos do a lot more than plants. Day geckos (Phelsuma) are some of the most brightly-coloured lizards. This is a young male. 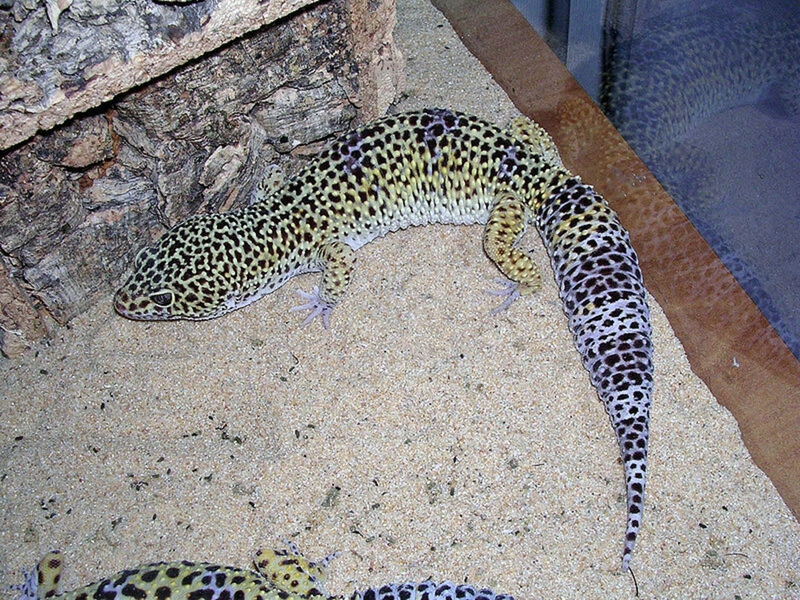 As he matured, his tail became blue, living up to the common name blue-tailed gecko. It is possible to keep geckos in small apartments, when other pets are impractical. Although all the flats I rented over the years had "no pets" policies, when I asked about keeping reptiles, amphibians or fish, I was always told they were ok. Since they are contained in tanks, and will not damage the furnishing they are not really considered as pets. They can also be kept by people who are allergic to dogs and cats. As long as you have a neighbour willing to pop in every day to spray their enclosures and feed them (neighbours with children are always a good target, the children will love taking care of your pets), it is possible to leave them alone if you are going for a short holiday. When I am going for longer than a week, however, I will usually board them in a specialist petshop. Geckos also don't mind if you are out of the house for most of the day, they do not get lonely. 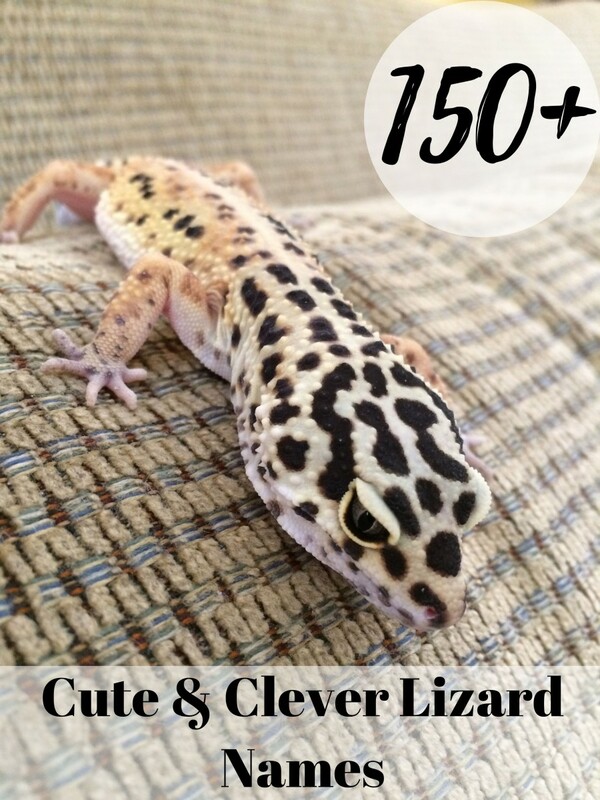 One undeniable attraction of keeping reptiles, and day geckos in particular is that they are beautiful display animals. I keep two species, Phelsuma cepediana that sport red markings on a bright green background, and a blue tail, and Phelsuma klemmeri, perhaps the most extravagantly coloured lizard, with a bright yellow head and almost fluoresent blue blue neon lines running on either side of its body. Honestly if they were painted by men rather than by nature they would be dismissed as garish kitsch! Their terraria can also become a decoration of the room their placed in, furnished to imitate the lizards' natural habitat with live plants, branches and bamboo. The greatest factor in people dismissing geckos as pets, is that you can't interact with them and they are not cuddly. This is especially true of Phelsuma, which unlike leopard geckos should not be handled at all, their skin is very fragile and can easily be torn by the human hand. However, people don't appreciate how interesting it is to observe these exotic animals going about their everyday business and learning about their behaviour. I would love to go to Madagascar or Mauritius and observe the local fauna. 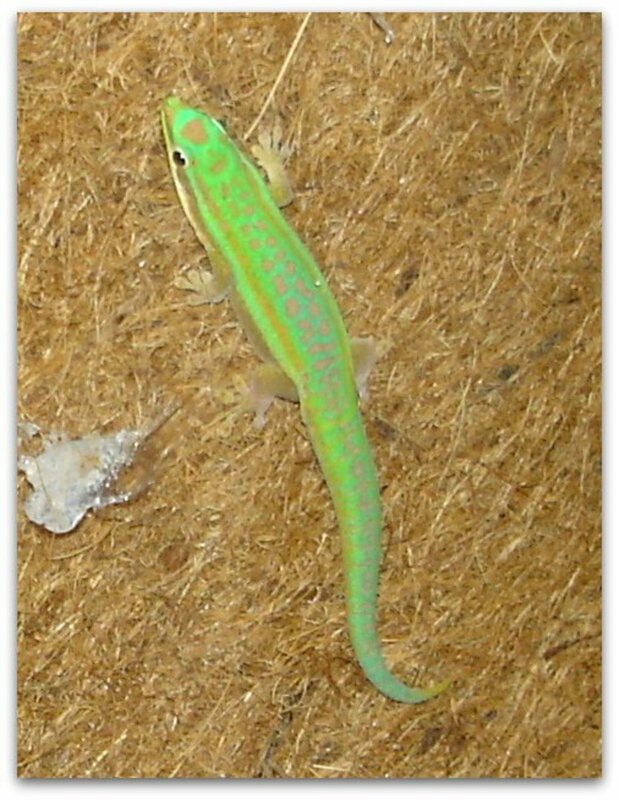 By keeping Phelsuma I have a small piece of Madagascar in my living room and can observe it on a daily basis. I can learn so much about them by actually seeing (and hearing, did you know that geckos are quite vocal, and communicate with each other?) it happen in front of me, which is much superior to reading about it in a book, or even watching it on tv. Much of their behaviour is quite amusing, they like to sleep in their bamboo tubes and in the morning spend some time with just their heads sticking out of the holes I've made for them, as if they are looking out of their windows checking out the weather, before deciding to come out and bask under their lights. Day geckos aren't the easiest of geckos to keep, and some species are considered particularly challenging. However, that does not mean that you need some magical skills to take care of them. Thorough research into the species particular needs, proper care when setting up the terrarium and consistent maintenance of their environment and dietary needs means that anybody can keep these beautiful animals. 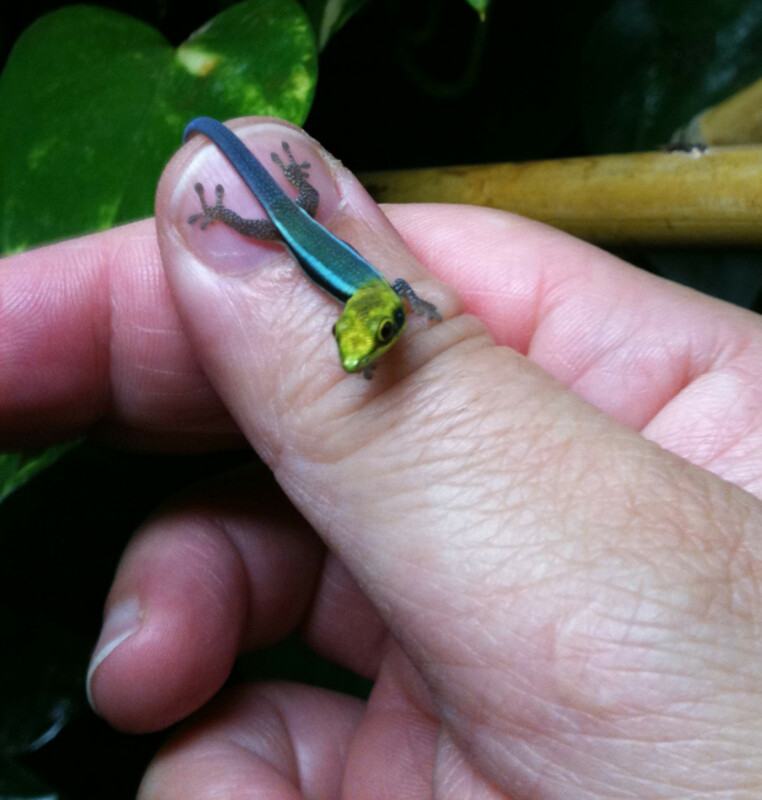 There are several good books and much information on the internet about the captive care of Phelsuma. There is a lot of satisfaction in keeping supposedly challenging species well and seeing them thrive in the terrarium you set up for them. In some ways it is like a science project, if you are careful about how you proceed, you will be rewarded with excellent results. 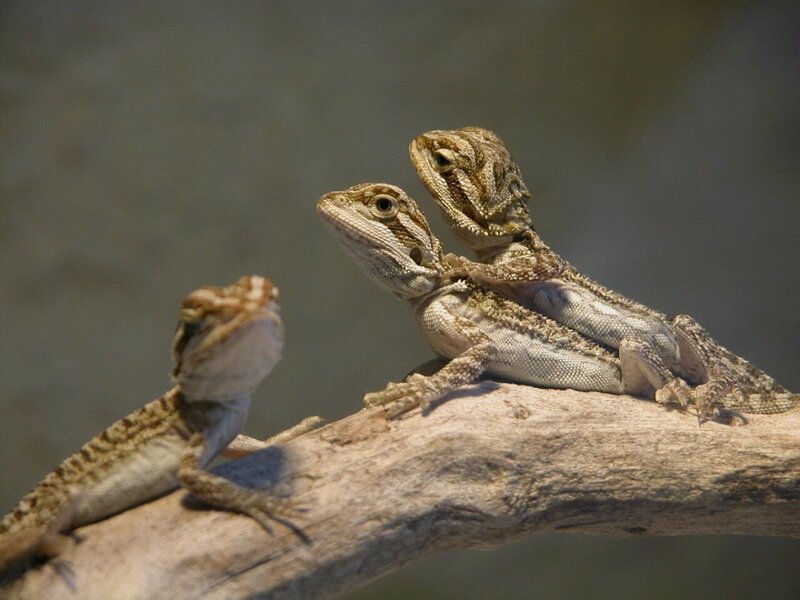 Of-course there is still much debate among very experienced keepers about certain aspects of husbandry, such as whether the reptiles require UVB light or whether it is sufficient to supplement their diet with calcium and vitamin D3. One of the most satisfying aspects of gecko-keeping is when it results in little geckos. Generally if you have a compatible pair and you followed correct husbandry guidelines, they will breed naturally without needing any inducements. 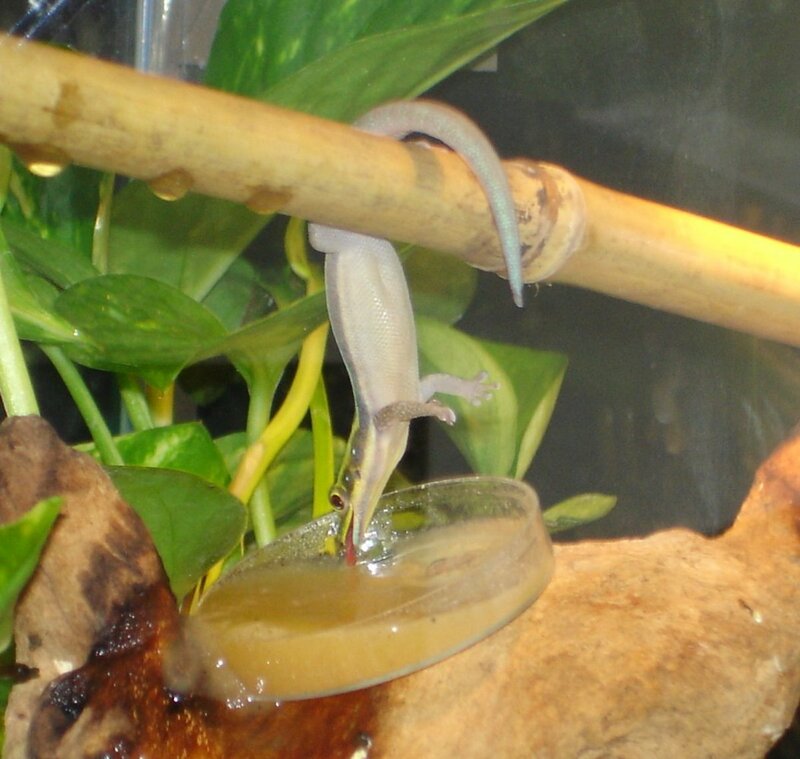 I still remember the sense of excitement when I was misting the tank one morning, and noticed a pair of tiny geckos inside. Although I have since raised several clutches, it is still quite thrilling whenever I get new hatchlings, and selling them to other keepers helps pay the costs of keeping them. Help! 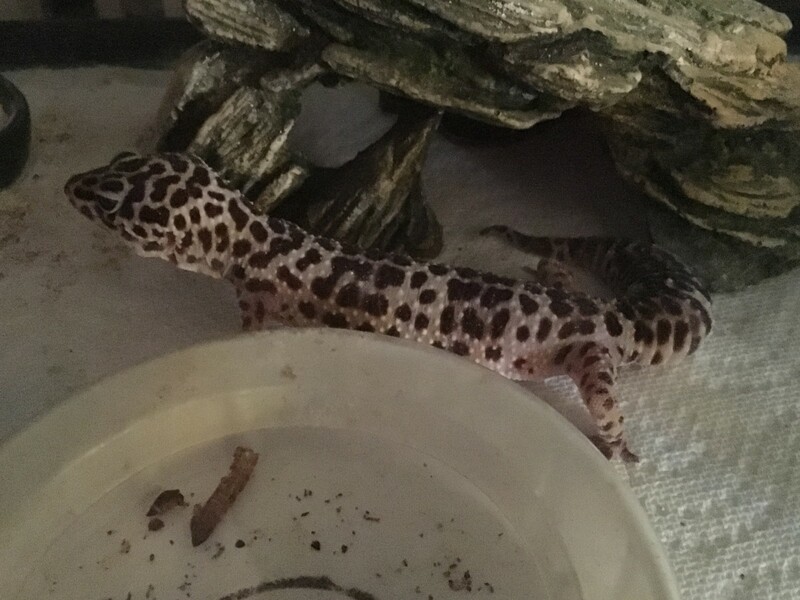 My Gecko Won’t Eat!